The dusty pink velvet Starfish Scatter from the new Underwater collection by Bunni brings aquatic bliss right into your little one’s bedroom. 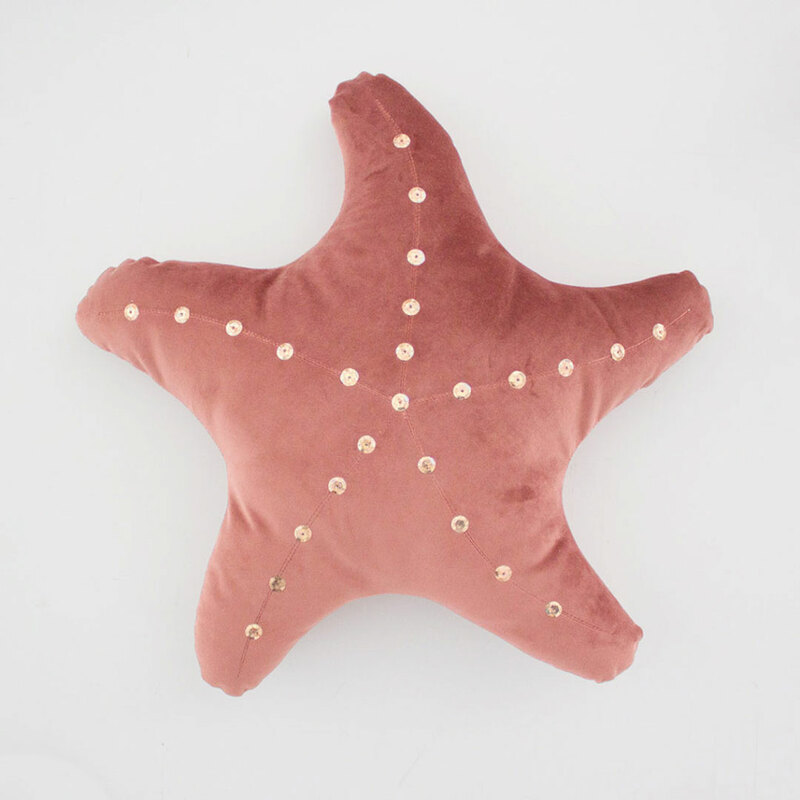 The dusty pink starfish-shaped scatter is handmade with love and care in South Africa. It has a gorgeous classic shape with embroidered lines and pretty sparkly sequins on luxuriously soft velvet fabric. The ocean is a mysterious and magical place filled with beauty and wonder. Add a touch of that magic to your little ones’ space with our lovely new Underwater decor!